The Singapore Driving Quiz App - stumper even the experienced driver! 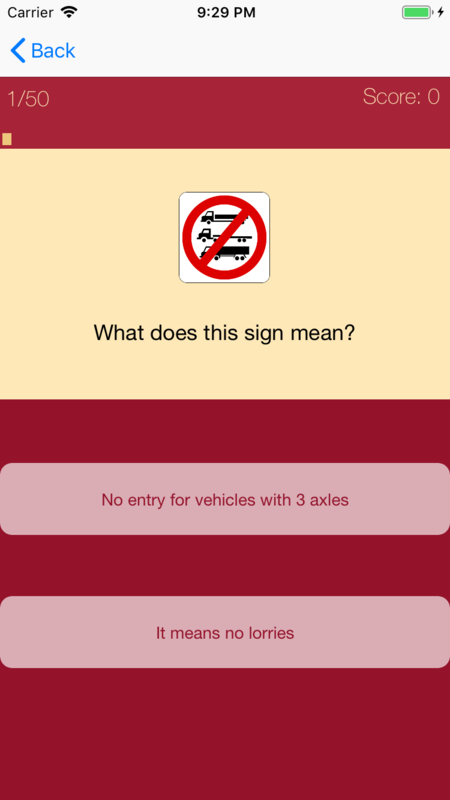 I just launched my third iOS app which I designed and developed. 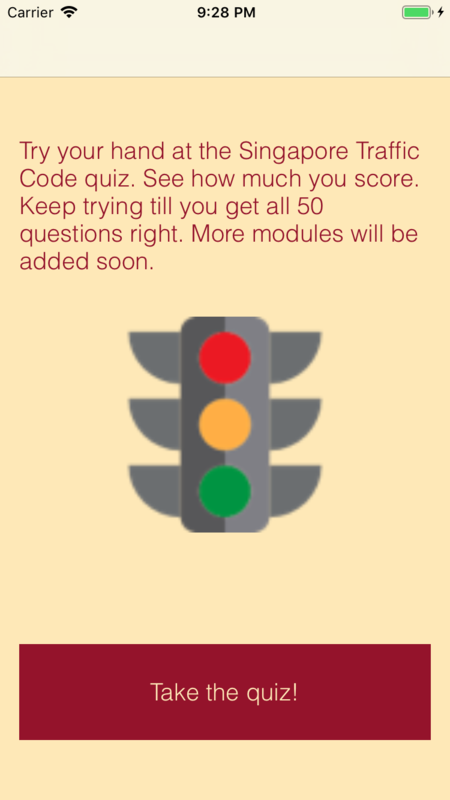 It's a ready reference quiz app with 50 questions on the highway codes used in Singapore Driving tests. Get familiar with the road signs and symbols and prepare for the theory test. Or just take it for a test drive to refresh your memory. Even the most experienced drivers have so far scored only 39 out of 50! See if you can do better. Lessons that came in very handy were by Angela's Quizzler app on Udemy and Victor Wooding's YouTube lesson.